Blue Ocean Advertainments 8881117444 OUR VISION: To be the leading Eventologist in the field, by meeting and exceeding the expectations of our CLIENTS through innovation ideas and the delivery of excellent service. To be strong dependable and intuitive allowing event professionals to work efficiently and effortlessly. MISSION STATEMENT To deliver extraordinary events, to inspire with hardwork,to create value and make a difference, to make every event delightfully unique through creative vision and beautiful artistry. We aim to represent the best interests of the clients by providing service while keeping a focus on creative and innovative ways to accomplish each goal set forth. WHO WE ARE Blue Ocean Advertainments, brain child of Mr. Mathews Naveen, a Marcom consultant is a full service Eventologists and also a BTL agency based in Madurai delivering all over was created by pairing together his passion for business and events. Blue Ocean Advertainments brings a fresh unique approach to the event management industry. We are strategic Event Management partners. We understand that a properly executed event can be leveraged to support an organizations vision incorporated into a company’s marketing plan and used to build networks and client loyalty. We approach every project with meticulous attention to detail and obsessive precision. Regardless of size and scope, we treat each event like a business with clear strategic goals, defined milestones and a comprehensive plan to ensure that the event is delivered on time and on budget. Blue Ocean Advertainments focus unparalleled professionalism and exceptional service means clients can trust their event in capable hands. WHAT WE DO 	Concept Generation 	Events Design, Direction, Production and Management 	Digital and multimedia concepts and applications 	Product Launches 	Corporate Conferences, Dealer meets, Seminars. 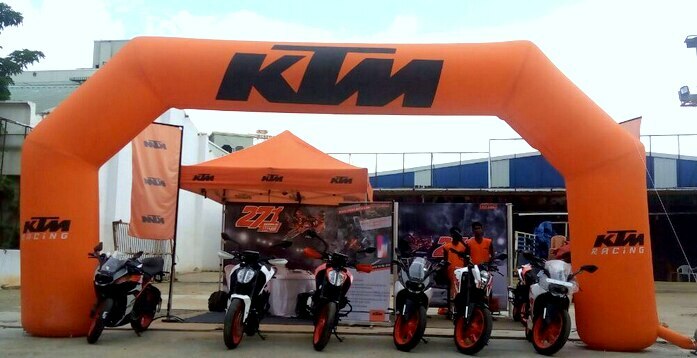 	Private Functions 	Branding and Promotions 	Mall Promotions 	Fleet Activation. 	Signages 	Melas and Exhibitions. And you name it and we execute…. WHY US : ( OUR USP) Every Event that we undertake is a BIG WIN BOA, Blue Ocean Advertainments translates your vision of the event into reality. With BOA, each events becomes a nostalgia. We focus unparalleled professionalism and exceptional service means clients can trust their event in capable hands.